This is the Policy Manual of the Partnership for Animal Welfare, Incorporated (hereinafter referred to as “the Partnership”). The Policy Manual is intended as a working document to spell out details on implementing Bylaws provisions. Policies contained in this manual may be modified at the discretion of the Partnership Board of Directors but must not be in conflict with any provisions contained in the Partnership Bylaws. 1. Definition. A volunteer is someone who, on an ongoing basis, assists with the operation of the Partnership, including, but not limited to, helping at adoption shows, answering phone lines, participating in fundraisers, fostering, and/or participating in educational events. d. Persons needing to complete community service either because of school or through the criminal justice system can be assigned volunteer tasks on a case-by-case basis. Persons doing community service through the criminal justice system must be approved by the Board before any tasks are assigned. e. In case of dispute, a three person committee shall be appointed by the Board to determine which volunteers are to be included in the roster of volunteers in good standing, to be reviewed by the Board by mid-year. f. A prospective volunteer may appeal the decision to the Board, in writing, within thirty (30) days; the Board will make a decision within thirty (30) days of the appeal. 2. Voting Rights. To be eligible to vote in the annual election or for Bylaws revisions, a person must have been an active volunteer for at least the prior six months. 3. Insurance. The Partnership’s liability insurance covers incidents of bodily injury and property damage caused by Partnership animals against third parties. Partnership volunteers and temporary care givers are not considered a third party. 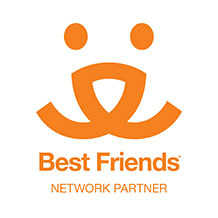 c. The volunteer agreement and the foster agreement shall state that the Partnership volunteer is expected to have personal health insurance to cover personal injury caused by a Partnership animal and personal property insurance to cover property damage caused by a Partnership animal. d. Persons doing pet sitting for PAW animals are required to sign a Hold Harmless agreement. e. No volunteer may handle a Partnership animal unless the volunteer agreement or Hold Harmless agreement have been signed. a. There shall be a minimum of three (3) meetings a year. b. Meetings shall be held in the greater metropolitan Washington, DC area at such dates, hour, and place as may be designated by the Board. c. A tentative schedule of the year’s meetings shall be set and distributed to the active volunteers within the first ninety (90) days of the year. d. Notice of each such meeting shall be distributed at least fourteen (14) days prior to the date of the meeting. a. Special meeting may be called as specified in the Bylaws. b. Special meetings shall be held in the greater metropolitan Washington, DC area. c. Special meetings shall be held within thirty (30) days of the original request. d. Notice of such meeting shall be distributed at least fourteen (14) days prior to the date of the meeting. e. Said notice shall state the purpose of the meeting, and no other Partnership business may be transacted at such meeting. b. Meetings shall be held in the greater Washington, DC area. c. Notice of such meeting should be distributed seven (7) days prior to the date of such meeting. d. The quorum for such meeting shall be seventy-five percent (75%) of the Board. a. Special Board meetings may be called by the President and/or shall be called by the Secretary upon receipt of a written request or e-mail signed by at least three (3) members of the Board. c. Notice of such meeting should be distributed at least seven (7) days prior to the date of the meeting. d. Said notice shall state the purpose of the meeting, and no other Partnership business may be transacted at such meeting. e. The quorum for such meeting shall be seventy-five percent (75% of the Board. 5. Volunteer Voting. Each volunteer who has been active (as defined in Article I of the Bylaws) for a period of at least six (6) months preceding a vote shall be entitled to one vote. Volunteers vote for Bylaws revisions and annual elections. Volunteers must be present to vote for Bylaws revisions at a General or Special meeting. The only volunteer vote allowed by electronic means or by mail is the vote in the Annual election. Proxy votes are not allowed. a. There must be a quorum present for any official action to be taken at a meeting. b. A quorum shall be ten (10) active volunteers in good standing and fifty-one percent (51%) of the Board. a. Board vote may be in person at a Board meeting or by electronic means. d. Board members may participate from a remote location. a. The Secretary shall keep Minutes of actions taken at all official Partnership or Board meetings. b. Any Board actions that affect policy shall be incorporated into the Policy Manual. c. When there is discussion and decisions on matters where public knowledge may be detrimental, such matters shall be discussed in executive session and no Minutes will be kept. An example would be discussion of personal disputes. d. Minutes of Board meetings will be open to all Volunteers. a. Any official communication to a public forum representing the Partnership can only be disseminated with written permission by the President. b. Individual volunteers are not authorized to represent statements they make as being an official policy of the Partnership, and must make clear that such statement(s) are their personal opinion only. c. The volunteer roster of names, email addresses, telephone numbers and home addresses may not be used for personal or professional solicitations or sold, traded, or otherwise provided to any party. 1. The Board. The Board is comprised of the officers and one representative from each specialty. The Board is responsible for the general management of Partnership affairs. a. All Board members must be active volunteers. b. All Board members shall be elected for one-year terms prior to the Annual meeting. 2. Officers. The Officers of the Partnership are the President, Vice-President, Secretary, and Treasurer. i. The Vice President shall have the duties and exercise the powers of the President in case of the President’s death, absence, or incapacity. i. The Secretary shall keep a record of all General and Special meetings. ii. He or she shall keep a record of all matters of which a non-financial record shall be ordered by the Partnership. iii. He or she shall be in charge of official correspondence, shall notify members of meetings, shall notify candidates of their election to office, shall keep a roll of volunteers with their address, and shall carry out such other duties as prescribed in the Partnership Bylaws. i. The Treasurer shall carry out the duties of Treasurer as defined in the Partnership Bylaws. a. Volunteer Coordinator. Oversees the recruitment of new volunteers and their orientation to the Partnership’s policies and practices. Works with other Partnership coordinators to keep duties staffed with available volunteers. b. Dog Coordinator. Coordinates and overseas operations related to dogs that are taken into the Partnership adoption program. c. Cat Coordinator. Coordinates and oversees operations related to cats that are taken into the Partnership adoption program. d. Outreach Coordinator. 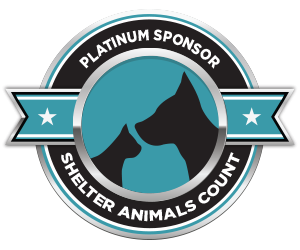 Develops and carries out programs to educate the public about humane and responsible care of animals and the need to eliminate cruel and abusive treatment. e. Fundraising Coordinator. Responsible for developing, coordinating, and leading fundraising activities. Coordinator Responsibilities. Handbooks are to be developed for each specialty with the goal to outline the organization and responsibilities of the specialty and to provide operational guidelines to carry out those responsibilities. 4. Vacancies. Any vacancies occurring on the Board during the year shall be filled until the end of the term as specified in the Partnership Bylaws. 5. Removal of Board Members. In accordance with Policy, any Board member who does not comply with Partnership policies can be asked to resign or be removed by a two-thirds (2/3) majority of the remaining Board. ii. Failure to attend meetings. b. The Board member may request, in writing, a hearing before the Board. Such request must be made within seven (7) days. c. The hearing shall take place within twenty-one (21) days. d. Proceedings of any actions to remove a Board member shall be confidential. 6. Removal of Volunteers. Any volunteer who does not comply with Partnership policies, at the discretion of the Board, will no longer be a volunteer, and will be removed from the volunteer roster and from Partnership communications. iii. Making unauthorized statements or opinions regarding Partnership policy without proper clearance. iv. Improper use of volunteer roster. b. The Volunteer may request, in writing, a hearing before the Board. Such request must be made within seven (7) days. d. Proceedings of any actions to remove a Volunteer shall be confidential. 1. Elections Official. An Elections Official shall be designated by the Board to oversee the annual election of Board members. a. The Elections Official must be a volunteer in good standing who is not running for a Board position in the election and who has no conflict of interest in the outcome of the election or a contracted legal or accounting service with no vested interest in the outcome of the election. b. The Elections Official will keep a verifiable, well-documented voting record and procedures that ensure a high level of confidentiality to those who cast votes. The record shall include each volunteer’s name and full ballot. c. The Elections Official will keep the voting record for three months after the election for the purpose of inspection by a chosen third party in case of dispute. When the voting record is discarded, it must be done so in such a manner as to maintain confidentiality of the individual voters. d. The Elections Official shall report to the Board the voting tallies for each candidate. The voting tally may be made public at the discretion of the Board. e. The Elections Official and any third-party inspectors must keep all votes strictly confidential after the election is over. a. No person may be a candidate in a Partnership election who has not been a Volunteer as defined in the Bylaws and Policy Manual since June 1st of the election year. b. Nominations may be made after the date of the election is announced and until thirteen (13) days prior to said election date, at which time nominations shall be closed. i. The full name of the person being nominated. ii. The position for which that person is being nominated. iii. An acceptance statement from the nominee. d. A proposed candidate may only accept one nomination for a specific position during an election period. e. Once nominations are closed, the Elections Official shall provide the Volunteers with the name and proposed office of each candidate by sending a special elections e-mail and by posting the information in the first issue of Partnership This Week distributed after the close of nominations. f. Information on candidates for office will also be posted on the Partnership website. This may include a statement by each candidate. The length of the statements allowable shall be determined by the Board, under advisement of the Partnership’s webmaster. 3. Annual Elections Voting Process. Officers and Specialty Representatives shall be elected by confidential ballot from among those nominated as specified in the Partnership Bylaws. a. Ballots must be submitted to the Elections Official by paper or by electronic means. a. The Secretary shall advise the voting members of the election date no less than thirty (30) days prior to the election. b. Votes may be submitted to the Elections Official once the nominations are closed and the official ballot is announced. c. All ballots must be received by the Elections Official six (6) days prior to the Annual meeting. d. Election results shall be announced via e-mail to the entire roster of Volunteers two (2) days prior to the day of the Annual meeting and again at the Annual meeting. e. The first issue of Partnership This Week following the Annual meeting shall also include the notice of the election results. f. In each case, the announcement of election results will name each Board member and his or her position on the Board. g. The announced results will not include the vote tally for any contested position. 5. Elections. The nominated candidate(s) receiving the greatest number of votes for each seat on the Board shall be declared elected. 6. Annual Meeting. The Annual meeting shall be held in December. This meeting is intended for volunteers to meet the newly elected members of the Board. a. In the event there is a need to act on any matter(s) that cannot be deferred, and a quorum is present at the Annual meeting, it would be possible to take action on such matter(s) at that time. 7. Transfer of Duties. Those whose election is announced at the Annual meeting shall take office on January 1st of the year following such election. a. Each retiring officer shall turn over to such successor in office all properties and records relating to that office within thirty (30) days after the election. 1. Standing Committees. The Board may appoint standing committees to advance the work of the Partnership. Standing Committees shall serve until such time as it is determined that there is no longer a need for such Committee. 2. Ad Hoc Committees. Ad Hoc Committees may be appointed by the Board to carry out specific assignments. An Ad Hoc Committee shall serve until it has completed its assignment, at which time it will be disbanded. 3. Removal of a Committee Member from a Committee. iv. Failure to work with other members of the committee. v. Directly or indirectly blocking the progress of the committee. b. The Board may appoint successors to those committee members whose services have been terminated. c. The Committee member may request, in writing, a hearing before the Board. Such request must be made within seven(7) days. d. The hearing shall take place within twenty-one (21) days. f. Removal of a committee member from a committee does not imply the removal of this same individual from the Board or volunteer roster. If such action is necessary, the removal of Board member or volunteer proceedings, noted above, would be followed separately. All decisions on intake must be approved by the dog or cat coordinator. If the appropriate coordinator is not available, and in emergency cases, the president, vice president, or a designated executive board member will have this authority. Kenneled animals require coordinator approval for placement or movement to fosters; foster animals may be placed only with the approval of the foster home and the coordinator, The animal coordinator welcomes information and opinions from involved and interested volunteers; however, no other volunteer will have authority to approve or disapprove applicants. This is the responsibility of the animal coordinators. No animal can be permanently moved or placed without proper authority.